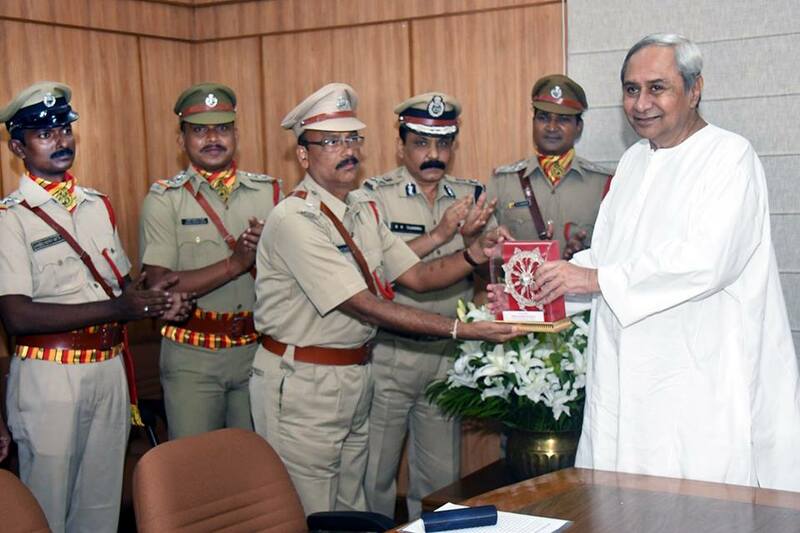 Bhubaneswar: Chief Minister Naveen Patnaik felicitating Odisha Fire Service Personnel for their Excellent Work in rescue operation in Kerala at Secretariat. Appreciating the fire personnel for their tireless efforts to rescue the flood-affected people in Kerala, the CM said the personnel made Odisha proud. The Chief Minister also announced that Rs 25 lakh would be given to the Fire Welfare Fund every year. Director General of Fire Service & Commandant General, Home Guards & Director Civil Defence, BK Sharma expressed happiness on the occasion. It should be noted that the state government had sent a team of 245 fire personnel along with all necessary equipment including 64 power boats to Kerala to assist the authorities in rescue and relief operations. The team rescued around 5000 marooned people from water-logged areas and also distributed relief materials.